Russian Picture Busker. 2014. 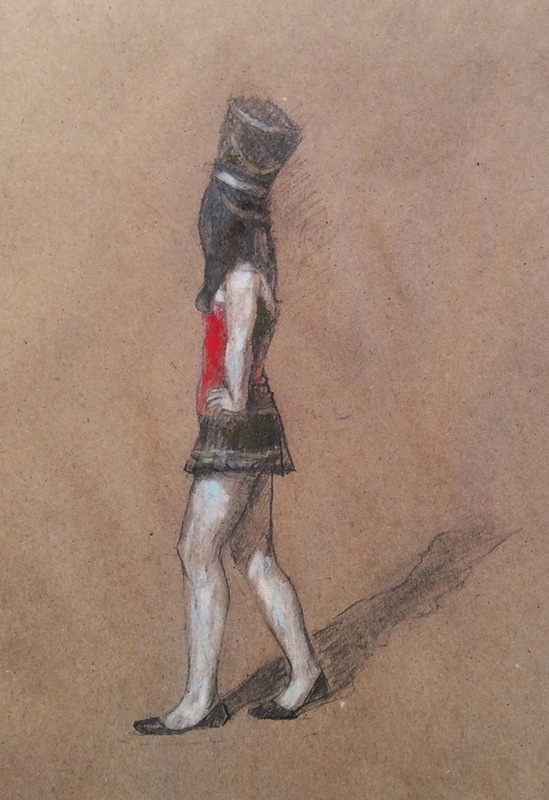 Graphite tinted with white compressed charcoal, conte and pastel on rough brown paper. 12" x 9." Casey Klahn. Sold. You took a leave of absence over the summer and came back with a figure painting? What came over you? Very surprising and refreshing. LOL! Hi, Linda. Sorry to be so absent at PW! Lots of activity for me, and I want every painting to be completely new!